This photo essay on Crane & Co.'s blog has us in awe. The time and care that goes in to each piece of stationery is amazing. Check out these wonderful photos to catch a glimpse into the Crane & Co. studios. Are you a fan of fonts? Have you ever taken a moment to analyze the font used in the magazine you're reading, or the ad you just saw? This short article is a neat read, whether you know a lot of a little about typefaces! Even though the holiday cookie season has ended, we suspect that you might not be tired of sweets just yet... these Brush Embroidered Cookies that Jess spotted on Celebrations.com are beyond gorgeous. They are decorated perfect for a bridal shower, wedding, or sweet baby shower. Check them out, and get the how-to at Celebrations.com. Speaking of sweets, we've been thinking about all the wonderful ways to celebrate Valentine's Day. 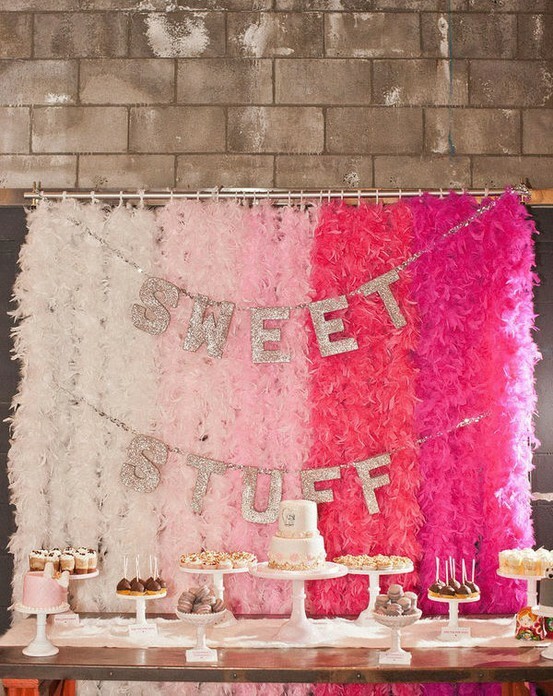 We think this pretty dessert table would make a great feature at your Valentine's Soiree! Click through to see the pin on our Pinterest boards!